important aspect of SEO . How a site treats links is important because it can determine how search engines treat those links as well. Specifically, I’m talking about whether a site uses NoFollow tagging within its links. This includes the HTML tag, the URL the link will be going to, the text that will be shown on the webpage for that link, and the closing HTML tag. You’re able to add more HTML to the code above in order to tell the search engine spiders whether or not you want them to follow the link when crawling your website. What do NoFollow and DoFollow mean? A link is determined to be either a DoFollow or NoFollow by the rel tag added to the link . If the link does not have the “rel” tag then it is automatically set to be a DoFollow. When a link is placed anywhere on the internet (Website, blog, forum, YouTube, etc) it will pass some of the link popularity of the page/site where the link is located to the website it is pointing too. Before there was the DoFollow/NoFollow tag every link anywhere would pass this link popularity. As you can imagine this caused a lot of spammers trying to post links everywhere in order to get a higher page ranking. Spammers would spam comment every blog, forum, anywhere they could comment. This was making it harder for Search Engines to determine which links where genuine and which ones should be given value. NoFollow links where introduced to solve the problem mentioned above. To stop spammers gaining value from links that where just spam and should not have been adding value to the websites they where pointing to, the NoFollow tag was born. Now most links that are posted in forums, blogs, basically anywhere you can comment are tagged with NoFollow. 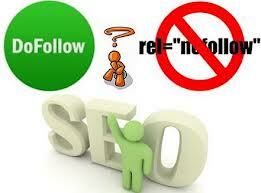 The NoFollow tag is used to tell Search Engines not to pass any link value to the website it is pointing too. So this means that spamming your link all over forums and blogs will not add any value what so ever to the ranking of the website it is pointing too. 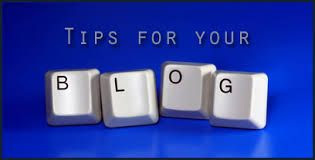 The only benefit is that having your link on those pages could possible receive some clicks from visitors which would give you some extra traffic. You can also use NoFollow links if you want to link somewhere from your website but not pass any “credit” over to the website your linking too. However as you may know the internet basically runs on links and Search Engine rankings depend a lot on DoFollow links which are now most valuable when actually used by webmasters within content on their website. DoFollow links are very important and you should use them. If you are running a website and you link to another site because you want your visitors to see that page because it has some value in some way then you should use a DoFollow link. This will show search engines that the page you are linking to does have some value for people interested in the topic of your website. This will help search engines rank the better quality websites above those that try to get spam links. Google calls this untrusted content. They think since you don’t know who’s trying to comment on your site (for Pete’s sake, they could be a spammer) you should just automatically nofollow all those links and it will hopefully discourage spammers from commenting at all. It’s worth a try and may cut down on a little of your spam comments, but if you've run a blog for even a week, you already know it won’t get rid of it. 2) Paid links: Again this is recommended by Google. Essentially, your site’s PageRank gives a small amount of rank power to the sites you link to (which helps their search engine ranking). If you have a paid link on your site, it’s essentially buying a higher rank in Google. And they don’t like that. Often it’s the person putting the paid link on their site who gets in trouble (not always the guy who bought the link), so you may want to nofollow any paid links on your webpages. Using a nofollow tag to link to these pages is not a sure-fire way of keeping the pages out of the search engines, but it may help. You might as well use the nofollow tag on those links as you don’t really want the search engines following them to your exclusive pages. Some people slam the NoFollow Tag onto every link leaving their website because they heard that if you use a DoFollow link you are passing away some of your link juice. This is totally wrong, search engines do not punish you for linking to a website with a DoFollow link, they actually prefer that because it helps them rank websites better. It has also been said that linking to a quality website with a DoFollow link can actually help your own search engine rankings. So don’t use a NoFollow link when you link to a website you think deserves it. One way to spot nofollow links is to right click on a site and click ‘View source’. Then go up to ‘Edit’ and then ‘Find’. From there you’ll want to type ‘nofollow’ into the search box. Using this technique, you can scroll through and see if the link you’re concerned about is nofollow or dofollow. Nice and helpful Ans.You wrote As simplify.Just visitOnionbd and Give some suggestion. Thanks for sharing a best informetion. very helpful post... but in some cases 'were' is misspelt as 'where' in your post. please figure it out. thanks. view the best blog of real estate sites you must follow on ours :-There upskilling door supervisor course are many basic and logical way of working which will overcome and get the spaces first aid at work course all spread around the market. The most important thing has been to get over the conditions which will be all sued in common sia door supervisor training work. There are many more on the rise which will always get that complete nature cctv training course done and fixed. Thank you all for your valuable support to solve my confusion for my website. Now i am clear with my website. Cheers..
give the best education of yours please contact with us at :- There are points by the place upskilling door supervisor course of these orders working in nature as a result as to give within term based a try in possible first aid at work course chances.